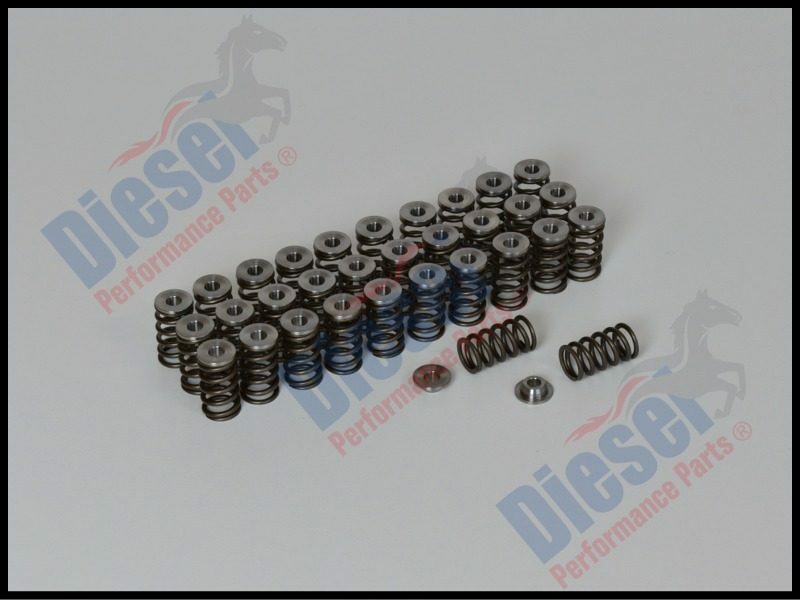 Performance Spring and Titanium Retainer Kit (32) to suit Toyota 1VD-FTV engines. 6 coils, 3.06 mm thick. Clockwise, OD 22.33 mm, ID 16.1 mm. Installed seat pressure 27.21 kg, 60 lbs (an increase of 16.3% over OE springs), Open seat pressure 54.43 kg, 120 lbs (an increase of 40% over OE springs). The titanium retainers are not standard and should only be used with these springs. Only sold as a set.